Day 25 of my World Cup 2018 concept series, Senegal. It’s pretty clear what the main feature of this kit is… the very loud pattern on the sleeves. 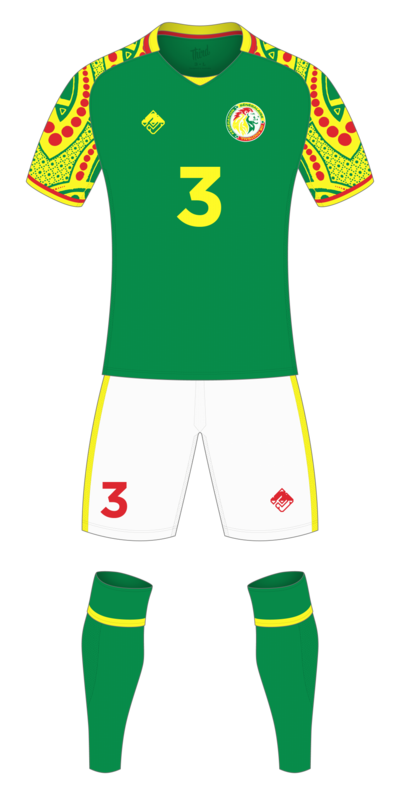 The rest of the kit is nice and simple, green jersey, white shorts, green socks – with yellow and red highlights thrown in.